We’re Ambler’s first choice for auto repair and tires. Family owned and operated, Ambler Tire Co. has been serving the Ambler area since 1982. We can meet all of your vehicle’s needs from tires to state inspections, emission testing, and much more. We perform all the necessary maintenance to keep your warranty valid, prevent breakdowns, and extend the life of your vehicle. Your safety and the safety of your passengers when you’re on the road is our first priority.Our technicians can with regular maintenance service save you money by helping to prevent small problems from becoming big repairs.We service all makes and models of vehicles.Our complete auto service means you will not have to go to dealer or get your car repaired.We stay up with the latest in factory training and tooling. We also do specialty work for other automtoive repair shops, dealerships, and insurance companies. We Offer Financing through our partners at Bosch! 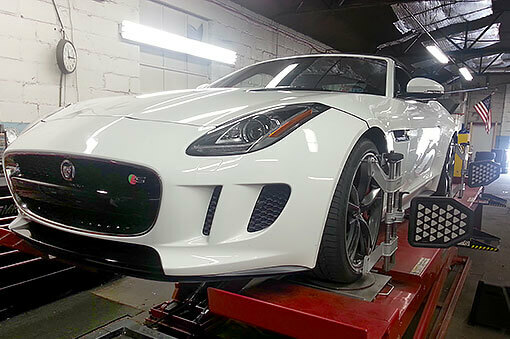 We are ASE master and L1 certified technicians with the latest in diagnostic and factory dealer-level equipment. With being a AAA approved and Bosch approved repair shop, you can guarantee that Ambler Tire Company in Ambler, PA provides the same quality of services that are available from the dealership. We’re the best option because we won’t charge you the same high prices for the same auto services. Our techs stay up to date with the latest in automotive training, so we can fix your car or truck right the first time. We’ll save you time and money with our exceptional services. Many drivers believe they have to go to the dealerships to keep their warranty up to date, but his is not true. We at Amber Tire & Auto can perform the services your vehicle needs while still maintaining your warranty. Ambler Tire Company has an advanced skill set that can meet all of your automotive repair needs, no matter what you’re driving. 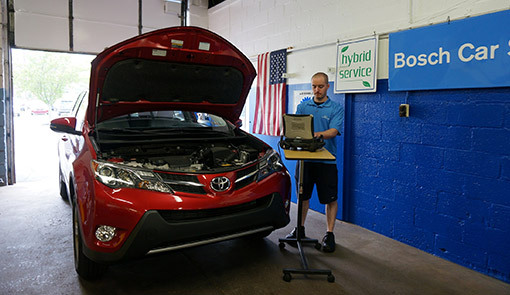 We have experience with all makes and models, and look forward to the opportunity to service your vehicle. Our expert repairs, maintenance, and tire services will always enhance your vehicle’s performance. Call us today to schedule your next service appointment or pick out your next set of tires. Our Customers Keep Coming Back for Great Service. Tried, True and Trusted Professionalism. For the past 10+ years I have take my car to Ambler Tire and will not take it to any other automobile mechanic. Dave Chiffens is very honest and a highly knowledgeable professional. He is always honest and explains the whats and whys something needs to be done to your car. Safety and customer satisfaction is always foremost in Dave’s mind. In my book, Ambler Tire is the best because Dave and his Team are the best! I have been coming to Dave for all our car maintenance for about 12 years. In all that time, he has never failed to solve any issue I’ve encountered with our cars. Dave handles both routine maintenance and urgent vehicle problems professionally, quickly, and makes the experience as pleasant as car repair can be! You will not find anyone more honest, competent, or pleasant anywhere in the area.